Whether it’s a loan, checking account, savings account or an Individual Retirement Account that you’re interested in, The State Bank of Wynnewood can help. We offer competitive rates on our loans and Certificates of Deposit, and we can assist you in determining which one will best suit your needs. Our focus is customers, and we are truly dedicated to you. We not only enjoy helping you save your money, we enjoy helping you make the most of what you have already acquired. Customer’s money needs may differ, but the need to manage money doesn’t. That’s why we offer a variety of deposit accounts from which to choose. 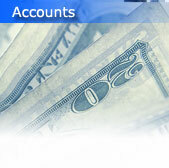 To discuss the best account option for you, call us at (405) 665-2001 or (800) 752-2624 or come by at your convenience.